Below you can view all the highrises for sale in the One Vinings Mountain subdivision located in Atlanta Georgia. 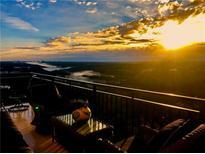 Listings in One Vinings Mountain are updated daily from data we receive from the Atlanta multiple listing service. To learn more about any of these highrises or to receive custom notifications when a new property is listed for sale in One Vinings Mountain, give us a call at 404-998-4102. 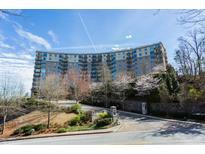 Amenities Include: Infinity Pool With Hot Tub Overlooking The Buckhead And Atlanta City Skylines, Large Fitness Center, Beautiful Outdoor Area With Grill With Spacious Patio, An Indoor Driving Range And Woodworking Room. Must See! MLS#6532288. Keller Williams Realty Partners. , 5 Deeded Prkng Spaces And Storage, Amenities Include Infinity Pool, Golf Room ,Massage ,Fitness. Luxury And Serenity! 10+ MLS#6531730. Dorsey Alston Realtors. Two Balconies For Outside Living And Container Gardening. Includes Storage Unit. MLS#6521740. Harry Norman Realtors. Rarely Available - The Only South Facing Unit Available In The Building - New Wood Floor & Water Heater - Most Popular "Essex" Floorplan - First Time On The Market - Best Side Of The Building For Stunning Panoramic Views For Atlanta Skyline - Hard To Find Storage Room & The Best Parking Spaces - One Vinings Mountain Offers Resort Lifestyle - Fabulous Amenities - Heated Infinity Pool - Close To Great Restaurant, Shopping & The Braves Stadium - Inside 285 With Quick Access To Buckhead, Airport & Major Hwys - Your Home On The Mountain Top - Low Cobb Taxes! MLS#6119368. Solid Source Realty, Inc..